Diagnosing diabetes: how is it done? There are many ways to diagnose diabetes but they're not all the same. Some tests can miss diabetes completely. It is important for diabetes to be diagnosed early so it can be properly controlled, and any complications avoided. Diabetes is a common condition affecting more and more people every day. In 2016, diabetes was the direct cause of death in 1.6 million people (WHO, 2018) worldwide. If we consider death from diabetes related conditions, it is estimated to lead to the death 4 million people every year around the world, more than malaria, TB, and HIV combined. article by following the link. Anyone with a body mass index higher than 25 (23 for Asian backgrounds), regardless of age, who has additional risk factors, such as high blood pressure, abnormal cholesterol levels, a sedentary lifestyle, a history of polycystic ovary syndrome or heart disease, and having a close relative with diabetes. Anyone older than age 45 is advised to receive an initial blood glucose screening, and if the results are normal, then be screened every three years thereafter. Any woman who has had gestational diabetes, is advised to be screened for diabetes every three years, and in every future pregnancy. Anyone who has been diagnosed with prediabetes is advised to be tested every year. How will my doctor know what type of diabetes I have? Testing for prediabetes, and type 1 and type 2 diabetes can use a couple of different methods for diagnosis. Your doctor will also look at your previous medical history, including your family history, as well as conduct some blood tests. Using only one testing method for diagnosing type 2 diabetes may result in missing people, leaving them undiagnosed. If someone is not diagnosed with diabetes, they will likely continue going about their normal daily lives, not realising that they could be making the condition worse. The HbA1c test, or the glycated haemoglobin A1c test, is a blood test that can be taken at any time. You don’t need to fast before taking the test! It indicates what your average blood glucose levels are over the past three months, by measuring the percentage of blood glucose that has attached to haemoglobin. Haemoglobin is the oxygen carrying protein found in red blood cells. In people with diabetes, the higher the blood glucose levels are, the more glucose you have attached to haemoglobin. A HbA1c level of 6.5% or higher, on two separate tests, can indicate that you have diabetes. Whereas a HbA1c level between 5.7 and 6.4% can indicate prediabetes. Levels below 5.7% are considered normal. In other words, higher A1c percentages indicate an increased risk of diabetes. The HbA1c test should not be used alone to test for diabetes. It should be used in combination with other blood glucose tests. Diagnosing people with diabetes solely based on HbA1c results can be problematic. An analysis of the results from the 2005-14 National Health and Nutrition Examination Survey (NHANES) found that the sensitivity of HbA1c for detecting diabetes was only 27%. What sensitivity means, is the percentage of sick people who are correctly identified as having the condition, in this case diabetes. This means that up to 73% of people with diabetes could be missed when using a HbA1c test as the only form of diagnosis. Additionally, the accuracy of using HbA1c varies across ethnicities. It was found that the highest sensitivity for diagnosing patients with diabetes was seen in non-Hispanic black patients (41.25%) while the lowest sensitivity was found in non-Hispanic white patients (21.11%). Age is another factor that may impact on HbA1c results. The original studies which provided the basis of recommending HbA1c as a diagnositc tool, were only conducted in adult populations. It is possible that current HbA1c cut-offs are not suitable for children and adolescents ( Prevalence of Diabetes and High Risk for Diabetes Using A1C Criteria in the U.S. Population in 1988–2006). Why use a HbA1c test if it isn’t accurate? Some doctors may choose to use only the HbA1c test due to convenience. The HbA1c test requires a blood sample. However, the oral glucose tolerance test requires the patient to fast overnight and then drink a sugary drink the next day, with blood glucose levels monitored before the drink and two hours after consumption. In this test, a blood sample is taken at any random time, regardless of when you last ate. A random blood glucose level of 11.1mmol/L (200mg/dL) or higher can indicate diabetes. A blood sample is taken after an overnight fast. A fast is when you refrain from eating for a period of time. Fasting blood glucose levels less than 5.6mmol/L (100mg/dL) is considered normal. 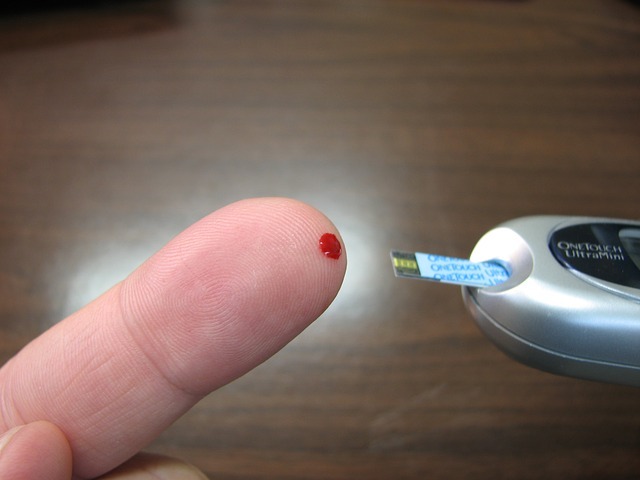 A fasting blood glucose level of 5.6-6.9mmol/L (100-125mg/dL) is considered to be prediabetes, while 7mmol/L (126mg/dL) or higher on two separate tests, is considered diabetes. This test is similar to a fasting blood glucose test. In an oral glucose tolerance test, you fast overnight and then a fasting blood sugar level is measured. You then proceed to drink a sugary liquid, and your blood glucose levels are tested periodically for the next two hours. A blood glucose level less than 7.8 mmol/L (140 mg/dL) is considered normal. A reading of more than 11.1 mmol/L (200 mg/dL) after two hours indicates diabetes, whereas a reading between 7.8 mmol/L and 11.0 mmol/L (140 and 199 mg/dL) indicates prediabetes. If the doctor suspects that you have type 1 diabetes, they may test your urine to check for the presence of by-products of muscle and fat tissue breakdown. In people with type 1 diabetes, muscle and fat are often broken down as a source of energy, since there is no insulin produced to assist glucose to move from the blood and into the cells, where it can be used for energy. This is why rapid and unintentional weight loss occurs in people with type 1. What if my blood test isn't normal, but the doctor said I didn’t have diabetes? If you have abnormal blood glucose levels, but they’re not high enough to be type 2 diabetes, it may mean you have prediabetes. Prediabetes is a condition where blood glucose levels are higher than normal but aren’t high enough to be classified as type 2 diabetes. If you have prediabetes, your doctor will conduct additional blood glucose tests to monitor whether your prediabetes has been progressed onto diabetes at a later date. All women should be tested for gestational diabetes (internal link to ‘what causes diabetes’) at weeks 24-28 gestation, which is during your second trimester. You are at a high risk of gestational diabetes if you are obese at the beginning of your pregnancy; have previously had gestational diabetes; or a close family member (i.e. mother, father, or sibling) has diabetes. If you are at a higher risk, your doctor may screen you earlier for gestational diabetes. The test begins with drinking a syrupy glucose solution, and then your blood glucose levels are tested an hour later through a blood test. Typically, a blood glucose reading below 7.8mmol/L (140mg/dL) is considered to be normal. If your blood glucose levels are higher than normal, it indicates that you have a higher risk of gestational diabetes, where you will need to do a follow up test. In the follow up test, you will be required to fast overnight and then have you blood glucose levels measured. You drink another syrupy glucose drink, except this one has a higher concentration of glucose, and then your glucose levels are checked every hour for three hours. You will be diagnosed with gestational diabetes, if at least two of the blood glucose readings are higher than the normal values. What are the risk factors for developing type 2 diabetes mellitus? When to speak to your doctor? If you experience any signs and symptoms of diabetes, it is important to get tested for diabetes as soon as possible. Some people are at higher risk and need regular testing if you are 45 years or older or have other risk factors for diabetes. By diagnosing and treating the condition early, it means you can decrease the risk of developing any further health complications, for example nerve damage, blindness, and heart disease. 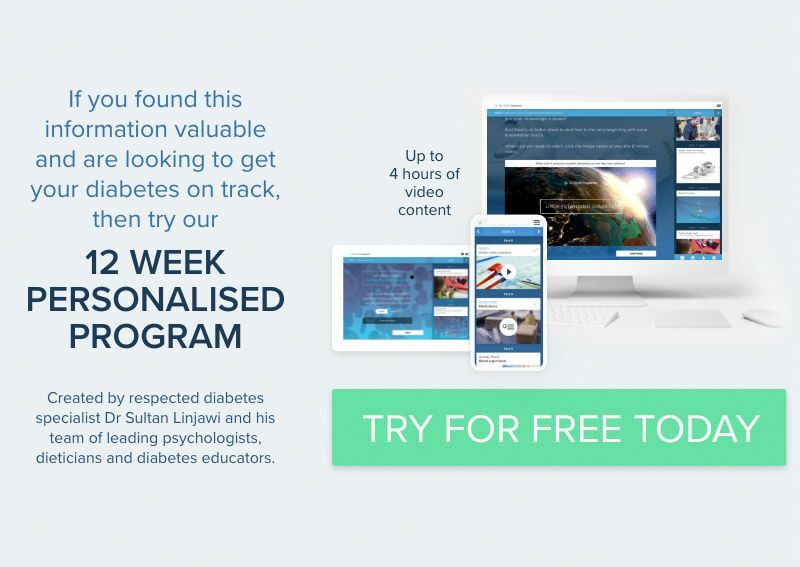 If you already have a prediabetes diagnosis or type 2 diabetes diagnosis and would like to know more about how best to manage the condition, you can join our personalised 12 week diabetes program. The first week is free and full of helpful and crucial information. If you want to learn more about diabetes, we have dedicated information pages.